New Wireless Service Announced Making it the Perfect Time to Recycle Your Used Cell Phones! If you live in an area serviced by Cox Communication, then your cell phone options may have just gotten bigger, with the well-known cable company having just become the first US cable firm to sell its own wireless phone service – providing an alternative to AT&T, Verizon Wireless, Sprint, and T-Mobile. Initially, Cox will be offering its new wireless cell phone service in three of its markets: Orange County, California, Hampton Roads Virginia, and Omaha. Service in other areas, which include New Orleans, San Diego, Las Vegas and Phoenix, will commence at a time to be determined. According to Cox, approximately 24% of its over nine million customers have said that they are willing to switch when the service becomes available. Monthly cell phone contracts are expected to start at around $39.99 and service will include warning alerts when a user gets close to using up their minute allowance and a five cent refund for every unused minute, with a maximum of $20 per month. Fifteen handsets will be on offer, including Android OS smartphones from LG, Motorola, and HTC. With the introduction of Cox’s new cell phone service, customers planning to switch will also be considering recycling their used cell phones. Recycling cell phones is not only a good way to get a bit of extra cash in time for Christmas, but has also been proven to be better for the environment. 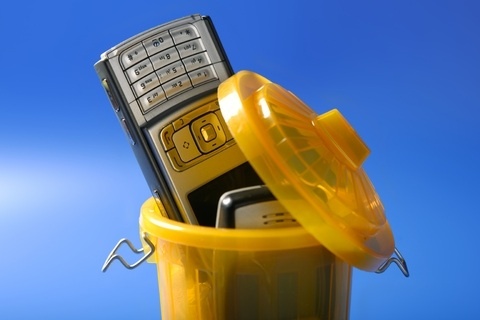 Tips for when you recycle your old cell phone.